Are you a local fencer or landscaper? 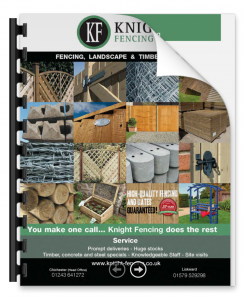 Would you like to know more about Knight Fencing and the benefits of having a trade account with one of the leading fencing supply companies on the south coast? Are you interested in becoming an approved Knight Fencing contractor? Then this invitation is for you! You are invited to the Knight Fencing Open Day on Friday 26th April at our Fencing and Landscaping Centre in Chichester. The Open Day, at our store on Vinnetrow Road, Chichester, will include a big BBQ for our local fencer and landscaper guests. When you’re not tucking into something tasty, you’ll have the chance to talk to us about what we do, our trading accounts, and find out how to become a Knight Fencing Approved installer. And if you haven’t visited our centre already, you can also have a look around and see exactly what we have in our fencing supplies store. We stock a wide range of fencing, gates, wooden garden furniture and decking, as well as fencing accessories, tools and landscaping materials. Put the Friday 26th April in your diary – we look forward to seeing you! for everything you need to know about our products and fencing services.